This deck is a Vorthos tribute to Frank Herbert's classic sci-fi novel Dune, the book that is largely credited with the advent of the sci-fi genre. It is a tale rife with politics, amazing prose, larger-than-life characters and creatures, and a story grounded in the ecology of a harsh world that lends itself perfectly to a lands-themed EDH deck. This deck is my effort at the purest distillation of theme and the quintessence of Dune into a play experience. It was a dream that unfolded inside my mind for several years and finally, in April of 2019, became realized in reality. For me, EDH is all about personal expression, creativity, and trying to constantly innovate. To that end I really wanted to create a lands EDH deck that would enable me to use a lot of my favorite lands-matter cards together that can't be played in most traditional lands-matter EDH deck due to color restrictions (e.g. Knight of the Reliquary in Lord Windgrace decks). As I mentioned above, Dune was intentionally written as a story of ecology-meets-fantasy among the stars, rich with unique characters so it naturally lends itself to a deck full of legendaries and one-of effects that serve as set-pieces for the story. Those of you who are experienced EDH players will quickly notice that there are a number of staple lands-matter cards missing from this deck. 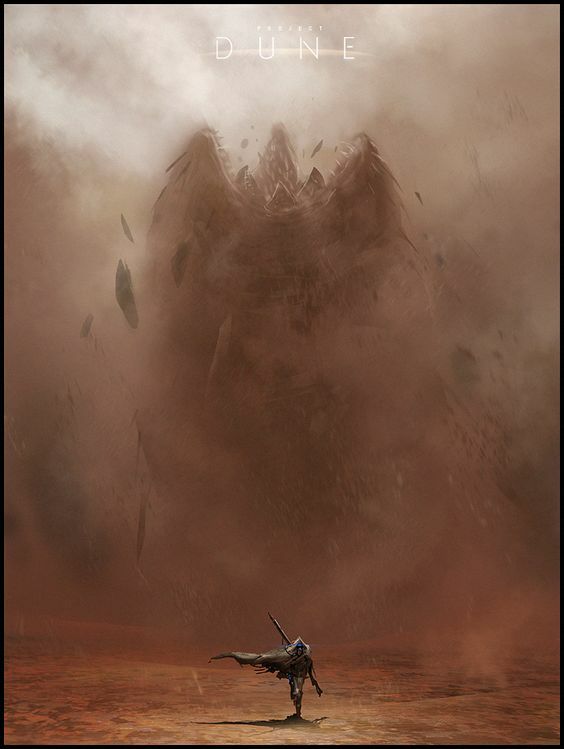 There is no Avenger of Zendikar or Rampaging Baloths because those creature types don't exist on Arrakis. I've tried wherever possible, to keep the deck in the realm of humans, or human-looking characters, like Titania, Protector of Argoth , who is admittedly an elemental, but looks very human. Each card in this deck will ultimately be altered to portray art meant to represent the character or scene that card is linked to; in some cases (like Reprocess or Sandurm Convergence) the art already perfectly represents the story moment it is meant to evoke. This is the list of what each card in this deck is meant to represent in the story. Most of the text is taken verbatim from the Dune Wiki. Jihad: "Long live the fighters!" Upon crowning himself Emperor in 10193 AG, Paul Atreides enacted a strategy that had been revealed to him through his prescient abilities. This decision saw the theology (and many customs) of the Fremen thrust into the whole of the Empire. A result of this was that Paul Atreides himself a revered god-head on many worlds in the Known Universe. There was resistance, and Paul found himself increasingly isolated from his family and friends as he decided that the Jihad to place his view of the future of mankind in place, must be bloodthirsty and relentless. 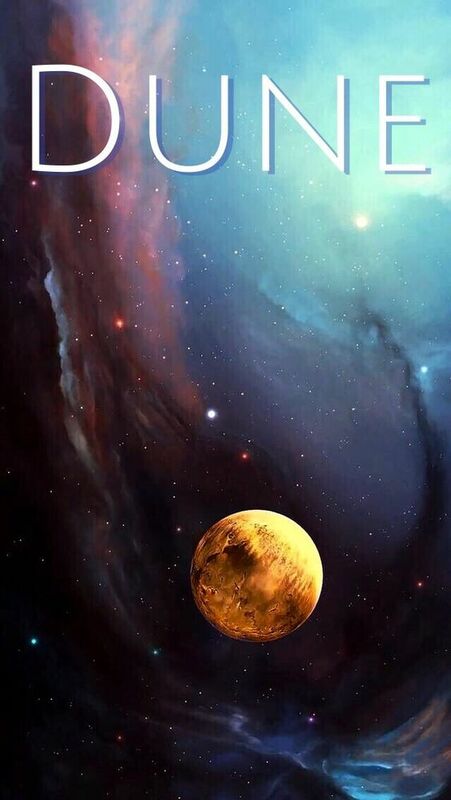 Whole planets were sterilized as some of the Great Houses put up a struggle against Paul's relentless Fremen armies. After the bloody Jihad that lasted more than twelve years, and claimed billions of lives, Emperor Paul Atreides eventually subdued all outright rebellion. 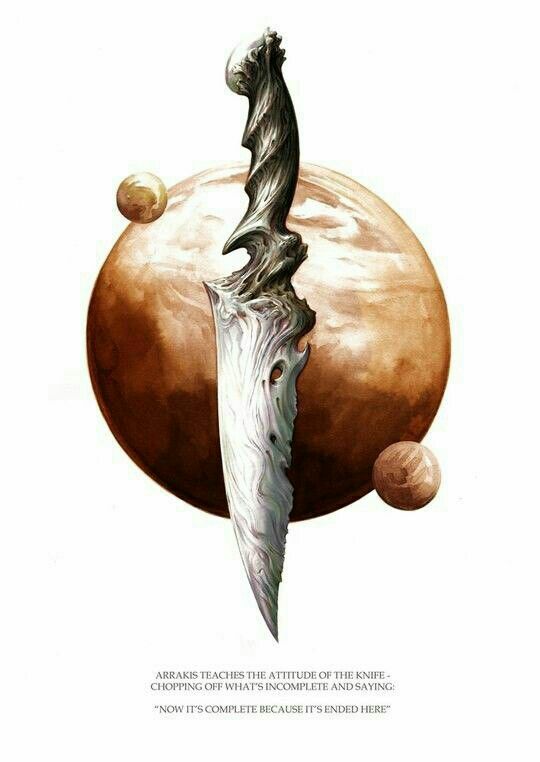 The order of the Known Universe was maintained through the replacement of Corrino imperial power, which was supported by Sardaukar military strength; with Atreides imperial power, supported by Fremen military strength. Attrition represents the Fremen's war against the Harkonnen, which was a guerilla war of attrition that essentially sapped the Harkonnen, and ultimately the Empire, of resources, specifically Spice, to the point that they could no longer effectively fight. Aura Shards represents the Fremen's effort to destroy the Spice-production capability of CHOAM company on Arrakis during their Jihad. Decimate is pretty self-explanatory as a representation of destroying the resources and armies of your enemies. Perilous Forays represents the Fremen's willingness to sacrifice their lives for the higher cause of Jihad and for the Mahdi. This card beautifully interprets this story element as sacrificing your warriors to literally acquire more land. Price of Glory : Sometimes the price of glory requires great sacrifice. Shared Animosity along with the next card are literal interpretations of going to war and striking a death blow. Given that both Dune-Brood Nephilim and Hazezon Tamar make token with the Sand subtype, you can easily attack with an enormous horde that will be made massive by Shared Animosity. True Conviction shares in the previous card's literal representation of Jihad by being emblematic of going to war over religious convictions. These two cards are a secondary win condition to the main ecological combo referenced in the "He Who Can Destroy a Thing, Controls a Thing: The Main Game Plan" section below. Characters: "Nature does not make mistakes. Right and wrong are human categories." This section is an exhaustive list of how each creature and planeswalker in the deck corresponds to a character from the Dune story. For the most part, they reference characters in the original book, but in a couple cases I've included characters from the expanded Duniverse. Azusa, Lost but Seeking - Reverend Mother Gaius Helen Mohiam: Reverend Mother Gaius Helen Mohiam was a Bene Gesserit Reverend Mother. Mohiam trained the Lady Jessica in the Bene Gesserit chapterhouse on Wallach IX. Two decades later, Mohiam tested the young Paul Atreides before his departure for Arrakis with the gom jabbar. The test was to discover whether Paul was "truly human" by trial of pain, using a small box that Paul placed his hand inside. The pain inflicted on Paul was caused by nerve induction and clearly drained an incredible amount of energy from the Reverend Mother, since no male child had ever withstood that much physical pain before. Azusa is a great representative or the Reverend Mother especially name-wise as the Bene Gesserits are literally searching for the Kwisatz Haderach. Bloom Tender - The Shadout Mapes: Mapes was one of the first Fremen that many of the Atreides encountered on a personal basis when they arrived on Arrakis. The Shadout Mapes was the head housekeeper in the Imperial Residence in the city of Arrakeen on the planet Arrakis when the Atreides took control of that planet in 10,191AG. She had many plot-critical interactions with the Atreides family members and ultimately was responsible for a garden in the Imperial Residence that the Lady Jessica ultimately opened to the Fremen people, thus the Bloom Tender reference. Borborygmos Enraged - Otheym: Otheym was a renowned Fremen fighter and devoted follower of Paul Atreides. He was a key figure in the training of Fremen fighters in the Weirding Way, and in the liberation of Arrakis from House Harkonnen. Originally from Sietch Gara Kulon, Otheym came to Sietch Tabr to join Muad'dib's crusade and was one of the first Fedaykin. Otheym was also the one tasked with taking the Waters of Life to a very large pre-spice mass, which if intiated, would have created a deadly chain reaction ultimately destroying all vectors of the sandworm. Otheym later served as a senior commander in the spread of Muad'dib's Jihad across the Known Universe. Borborygmos is a great representative of Otheym because he is a fierce and violent card that is unrelenting in his ability to destroy your opponents, whether through combat damage or through his ability to hurl lands at them as Lightning Bolt s.
Deathrite Shaman - The Preacher: The Preacher was the name given to a mysterious blind prophet who appeared on Arrakis during the Imperial regency of Alia Atreides. He was guided by a boy, and frequently appeared in Arrakeen to rail against both the Atreides Empire and the environmental changes occurring on the planet. His oratories evoked a variety of emotions from the people of the city, including awe, reverence, anger, and ridicule. His message was deep and profoundly rooted in the reality of his day: Muad'Dib was worshiped blindly by the common folk as 'the messiah' of Arrakis and the parasitic Qizarate priesthood took full advantage of this fact. What The Preacher did was to try to awaken his people to the reality of their ignorance, especially since, unknown to most, the "messiah' myth of Arrakis was planted by the Bene Gesserit's Missionaria Protectiva. Deathrite Shaman feels like the right card to represent him for me because it's a card that's literally all about removing the dead refuse from reality, whether it helps or hurts. Also, I can't play Blind Seer in this deck. Dune-Brood Nephilim - Shai-Hulud: As with many Fremen terms and words, Shai-Hulud is more than a mere descriptive term for a physical entity. 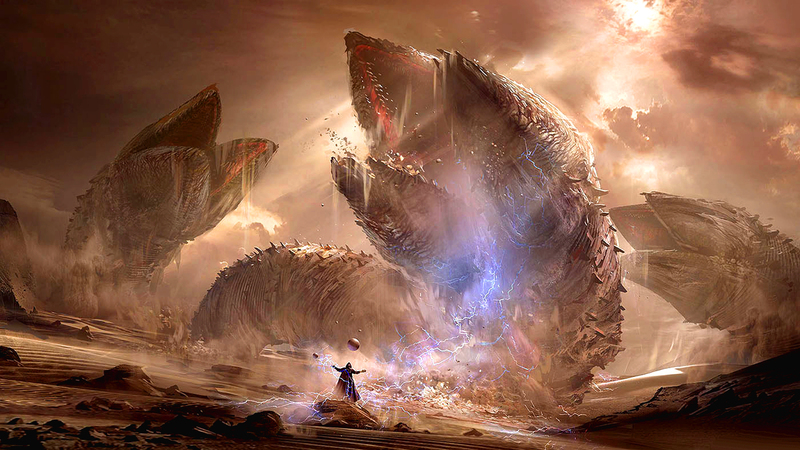 Specifically, it often alludes to the Fremen belief that the sandworm is a physical embodiment of the One God that created and governs the universe. 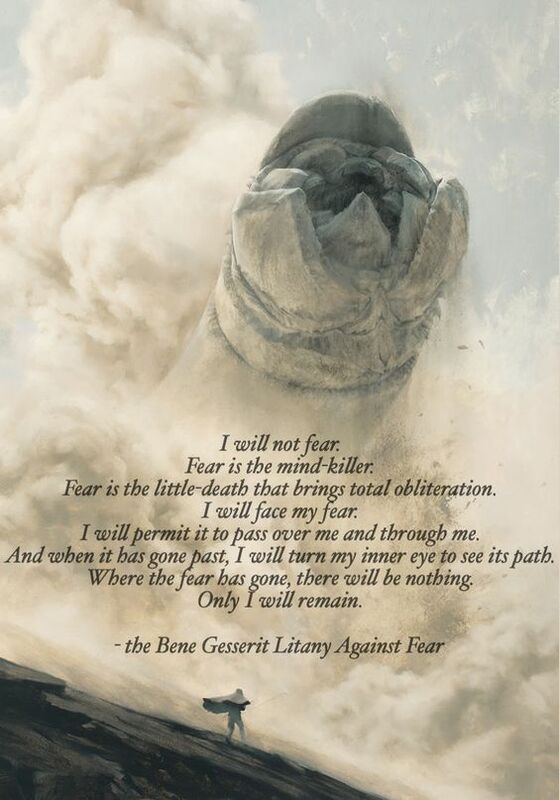 Thus to the Fremen Shai-Hulud is a sacred term that is usually spoken with a tone of awe, fear or respect. 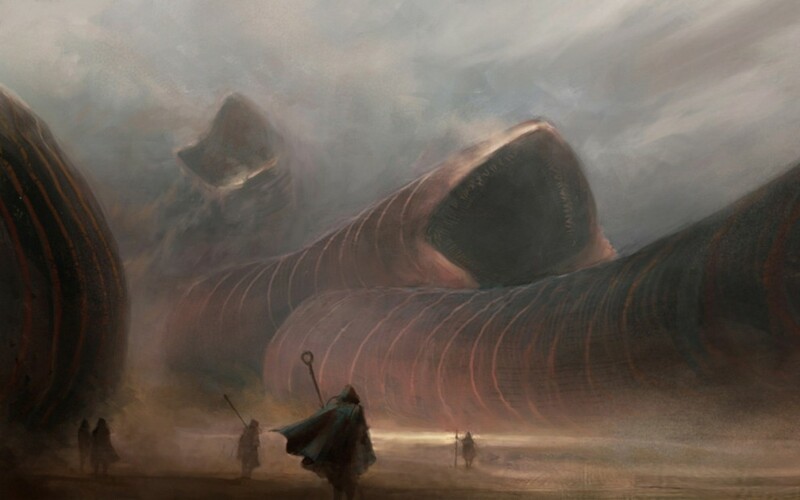 Linguistically, Shai-Hulud has many literal translations, all of which speak of the size, age, and power of the sandworm. Among the noted translations are: "Old Man of the Desert", "Old Father Eternity", "Grandfather of the Desert". In Arabic, the name can be split into "Shai" ("Thing") and "Hulud" ("Immortality" or "eternity"). 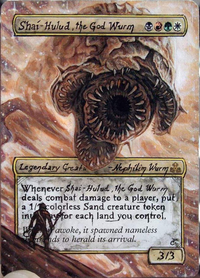 Dune-Brood Nephilim is my commander because it enables me to play all 4 colors that I wanted for this deck so I had it altered to actually be Shai-Hulud. Emeria Shepherd & Eternal Witness - Princess Irulan: Princess Irulan Corrino was the eldest daughter of the 81st Padishah Emperor Shaddam Corrino IV, and Anirul, a Bene Gesserit of Hidden Rank. She was also the wife, in title only, of Emperor Paul Atreides, and an important historian who chronicled the events of Paul's rise to the Imperial throne through a series of written works. Emeria Shepherd and Eternal Witness seem like good analogs for Irulan because through their recursive abilities, they are constantly dredging up the past, and as a historian Irulan literally bore witness to all the great events happening during her lifetime and recorded them for posterity. Groundskeeper - Liet-Kynes, Imperial Planetologist: Liet Kynes, (10156 AG - 10191 AG) was the son of Pardot Kynes and the father of Chani, who became the concubine of Emperor Paul Atreides. Liet was a prominent imperial planetologist/ecologist of Arrakis, the Judge of the Change, and the secret leader of the Fremen at the time House Atreides took control of Arrakis in 10191 AG. Liet Kynes inherited his father's mantle and served as both the planetary ecologist of Dune and leader of the Fremen. He continued his father's vision of gradually terraforming the planet from a harsh desert world into a temperate world with precipitation, greenery, and open water. Compared to his father who almost entirely focused on the ecologic reformation of Dune. Groundskeeper is the perfect card to represent him as it constantly brings dead lands back to your hand to be reused so they can reach their full potential. Hazezon Tamar - Paul "Muad'Dib" Atreides: Twenty-first and last Duke of House Atreides, leader of the Fremen, and first ruler of the Atreides Empire. He was considered the Kwisatz Haderach, the powerful prescient being, long sought by the Bene Gesserit and product of their lengthy breeding program. 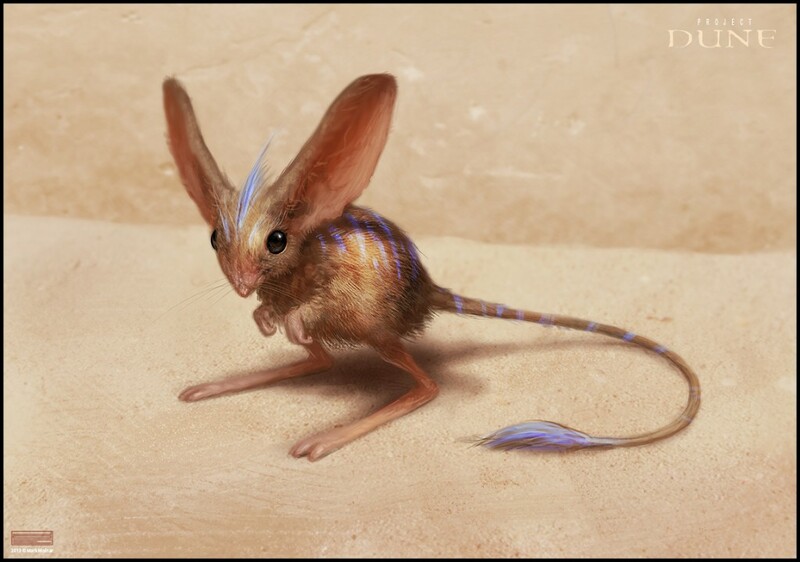 During the announcement of Paul's birth to the citizens of Cala City, far away from his birth planet of Kaitan, in Arrakis, giant sandworms performed a mystical rite beneath the light of Dune's second moon (which has a marking thought to look like the Kangaroo mouse native to Arrakis, called Muad'Dib). As the son of Duke Leto Atreides I, Paul grew up with a privileged background on the water-covered planet of Caladan, the ancestral home of House Atreides. Though he lacked companions his own age, he did recieve tuition from his teachers, men like Thufir Hawat, Duncan Idaho, Gurney Halleck and Doctor Yueh, as well as education in Bene Gesserit methods and techniques from his mother. Shortly after his fifteenth birthday in 10191 AG, Paul's father revealed to him that Paul's training, through his teachers, had been geared toward turning Paul into a mentat. The theory was that when Paul succeeded his father as Duke of House Atreides, one of the most respected and moral Great Houses of the Imperium, a mentat-duke would truly be a formidable force in the Landsraad. Paul's latent talents also earned him the attention of the Bene Gesserit, who tested him with the Gom Jabbar as they hoped to salvage their breeding program through him. Paul Atreides accompanied his parents when House Atreides was relocated to the desert world Arrakis to manage mining operations of the Spice Melange. However, when the deception of House Harkonnen and the Emperor Shaddam IV was revealed, he escaped into the desert with his mother and joined the Fremen. Upon joining the desert people he took the name Muad'Dib. Hazezon Tamar is clearly meant to be Paul, and maybe was an intended homage by the Magic Design Team back in the '90s as all of the legends in the Legends expansion were based off of employees' DnD characters (or so I've heard). For the purposes of this deck, Hazezon represents Paul up until he takes the Water of Life and awakens his prescient abilities. Lord Windgrace, I think, more properly exemplifies Paul's identity as the Kwisatz Haderach. 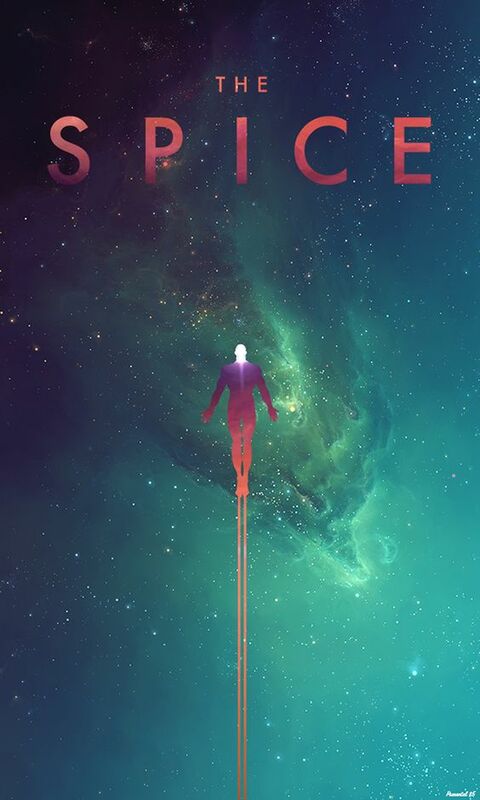 Herald of Leshrac - The Spacing Guild Chief Administrator: The Spacing Guild is truly the most powerful entity in the Known Universe as they monopolize space travel via Spice-altered navigators. Administrators make the necessary short-term and long-term decisions to keep the Guild as a functioning organization. They serve as liaisons between regular human-kind and Navigators, who are particularly unable to communicate with humans in their melange-altered state. Herald of Leshrac is the perfect card to fulfill this character role as the administrators act as heralds for the Navigators and the Spacing Guild takes people to new worlds, like Herald of Leshrac brings new "worlds" to you. Kamahl, Fist of Krosa - Stilgar: Stilgar Ben Fifrawi, was the Naib, or leader of Sietch Tabr, a Fremen tribe of Arrakis during the Atreides Fiefdom. Upon the change of the Arrakis fief in 10,191 AG from House Harkonnen to House Atreides, Stilgar was befriended by Atreides Swordmaster Duncan Idaho, who had been sent in advance by Duke Leto Atreides to gauge and study the Fremen. In Idaho's reports to Leto, Idaho had judged Stilgar to be a 'good example' of the Fremen of Arrakis. 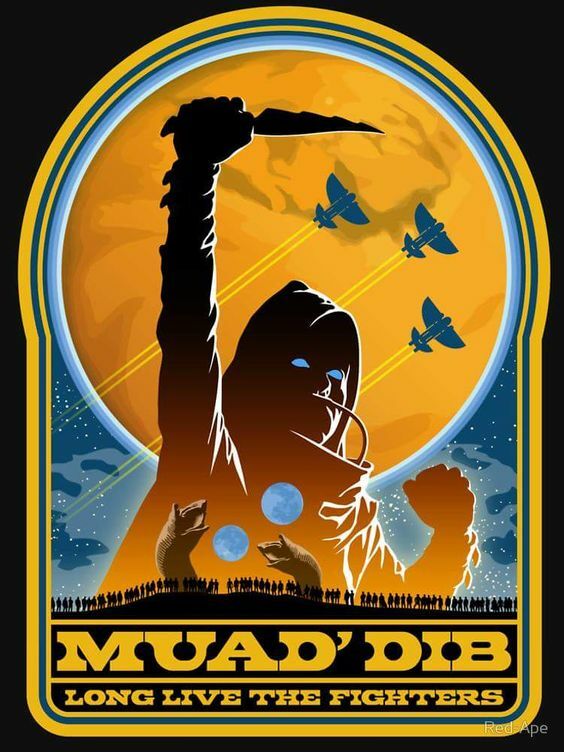 Indeed, through Idaho's relationship with Stilgar and his tribe, he became so impressed with the Fremen and their ways that Idaho accepted dual loyalties to the Atreides and to Stilgar. After the Harkonnen attack Arrakis and House Atreides went renegade, the remaining members of the Atreides family, namely the Ducal heir Paul Atreides and his mother, the Lady Jessica, sought refuge with Stilgar and his tribe. Eventually, through Paul's leadership and the development of his prescient powers, Stilgar became the general of one who was to become Emperor of the Known Universe. It was through Paul Atreides that Stilgar and the other Fremen Naibs realized their collective dream of turning Arrakis into a lush and green paradise. Kamahl is the representative of Stilgar in this deck for me because he raises an army from your lands or kills those of your enemies, very much like Stilgar's role as a leader of fighters in Dune. Also, he empowers them to attack more strongly via his Overrun ability, which is a great interpretation of his efforts to spread the Atreides Weirding Way among the Fremen warriors. Karametra, God of Harvests - Ghanima Atreides: Ghanima Atreides, born on the planet Arrakis, daughter of Paul Atreides and his Fremen concubine Chani Kynes. She was born a little time before her twin brother Leto Atreides II, the God-Emperor. Ghanima lacked the assertive streak and degree of prescience of her twin brother. However, thanks to the pair's genetic heritage and the large consumption of Spice Melange by their mother, Ghanima was pre-born and came into being with a full, adult consciousness. Thus she possessed wisdom far beyond her years, and a Bene Gesserit Reverend Mother's skills and ability to recall knowledge from her female ancestors (there is some indication that she had access to her male-line Other Memory as well). I've chosen Karametra to represent Ghani because she is a god who is concerned with the land and has the devotion mechanic. Ghani is devoted to her brother and is a critical supporter of his pursuit of the Golden Path (detailed below) and his rule, even going so far as to marry him and rule by his side as Empress (completely platonically, this isn't Game of Thrones, although it kind of is in a broader sense). Knight of the Reliquary - Chani Kynes: Chani Kynes, also known by her intimate name Sihaya, was the Fremen bound concubine of Paul Atreides, and the mother of his three children: Leto Atreides II the Elder (murdered by the Harkonnen), and the twins Leto Atreides II the Younger, God Emperor of Dune and Ghanima Atreides. Chani was born on Arrakis, the daughter of the half-Fremen planetologist Liet Kynes and his full-Fremen wife. She gradually developed into a formidable fighter, and by the time of her father's death was serving under naib Stilgar. After the integration of Paul and Jessica into the Fremen by Stilgar, Chani began her long-lasting love affair with the young Duke, and eventually bore him a son, Leto. However, their first born was murdered by a House Harkonnen raiding party while Paul, Chani and Jessica were away visiting another sietch. After the defeat of House Harkonnen and House Corrino on Arrakis, and Paul's subsequent ascent to Emperor and marriage to Irulan Corrino, Chani became his official concubine and remained his exclusive partner. In terms of this deck, I can't think of a more perfect partner to the three iterations of Paul Atreides ( Deathrite Shaman , Hazezon Tamar , and Lord Windgrace ) than Knight of the Reliquary . She fuels all of them beautifully and enables them to reach their potential, while also doing the same thing for The Gitrog Monster , which is the deck-representation of her son Leto II (the Younger). The beautiful thing about the interactions between these cards (and the whole reason I built this deck in the first place), is that you can't play them together in a Gitrog deck, or a Windgrace deck, or a Hazezon deck. It's only here, in this specifically crafted masterpiece, that they can all achieve their highest potential. Lord Windgrace - Paul as the Kwisatz Haderach/Mahdi: Paul's experience among the Fremen combined with significant exposure to the Spice Melange triggered dormant prescient abilities within Paul's bloodline. These abilities, coupled with his leadership skills, his military training, and an ancient prophecy of the people of Arrakis, enabled Paul to become the leader of the formidable Fremen. It was on Arrakis that he discovered that his grandfather - the father of Jessica - was the Baron Vladimir Harkonnen. He also drank the Water of Life and survived, expanding his consciousness bringing his prescience near to perfection. He was the first and last male to drink the Water of Life and survive, showing himself to be the Kwisatz Haderach; although he claimed to be something else, something unexpected. Paul claimed, after converting the Water of Life that he could not only see the future and the past but also the present, which he called "the now." His vision allowed him to see Shaddam IV's great fleet in space above Arrakis, ready to attack. After spearheading a highly effective campaign of guerilla warfare against the House Harkonnen and Sardaukar forces that had taken control of Arrakis, Paul conquered the powers in Arrakeen. With his marriage with Irulan Corrino, daughter of Emperor Shaddam IV, successfully negotiated the end of the long-standing Corrino Empire and his own ascendancy to Emperor (shown in this deck through the Monarch mechanic on Throne of the High City ). Upon crowning himself Emperor in 10193 AG, Paul enacted a strategy that had been revealed to him through his prescient abilities. This decision saw the theology (and many customs) of the Fremen thrust into the whole of the Empire. A result of this was that Paul Atreides himself a revered god-head on many worlds in the Known Universe. There was resistance, and Paul found himself increasingly isolated from his family and friends as he decided that the Jihad to place his view of the future of mankind in place, must be bloodthirsty and relentless. Whole planets were sterilized as some of the Great Houses put up a struggle against Paul's relentless Fremen armies. Paul's interpretation of his prescient visions also necessitated that Arrakis be transformed from a barren desert planet into a lush and fertile world, with the exception of a small desert for the sandworm to remain alive and keep producing spice. By the end of his rule this plan was well on its way to succeeding. This program had begun under Pardot Kynes as an attempt to harness a planet; however, under Paul, it became part of a plan to save humanity. Despite his strong leadership and formidable prescient abilities, Emperor Paul Atreides began to feel building pressure from discordant groups within the Empire: notably the Bene Gesserit, Bene Tleilax, fringe groups within the Fremen, and the dethroned but still powerful House Corrino. Among the schemes of his enemies were the detonation of a stone burner near where Paul and his forces stood in Arrakeen, which resulted in his physical blindness. Upon Paul's recovery from this incident, he shocked all by his ability to 'see' despite not having eyes. His perfect prescient abilities allowed him to perceive the world around him. For all these reasons and more, Lord Windgrace seems the ideal representation of Paul in this penultimate phase of his identity evolution. He has power over and through the Spice (his first 2 abilities) and incredibly devastating and destructive power through his ultimate ability (which is a great representation of Jihad beyond the cards in this deck that specifically evoke it). Eventually, Windgrace will be altered to look like Paul as the Kwisatz Haderach. Lotus Cobra - The Little Maker: A pre-spice mass was a wild organic growth which arose deep under the surface of the desert on Arrakis. The culture was fungusoid in nature, and occurred when water mixed with the excretions of a little maker, a young sandworm. The combination eventually created considerable pressure, which forced it to the surface of the planet as a spice blow. Its material was then transformed into spice melange by exposure to the sun and the air. Lotus Cobra is the perfect expression of the Little Maker as it is a small worm-shaped creature that makes mana explosions every time lands enter the battlefield and mana is this deck's analog to the Spice Melange. Magus of the Candelabra - Thufir Hawat: Thufir was a Mentat human computer and Master of Assassins for House Atreides during the time of Duke Leto the Just. For three generations, Hawat had been responsible for Atreides House security. This meant protection for Atreides family members, anti-espionage, risk management, and various aspects of kanly. Moreover, Hawat had been entrusted with the training of the Ducal Heir Paul in the arts of war, as well as political and military strategy. Throughout the Imperium, Hawat had a formidable reputation. He was known in the Landsraad to be both cunning and honourable. Indeed, other Great Houses coveted him for his abilities as a strategist, warrior, and trusted advisor. Thufir's story is very interesting and dense so I'll not write much on it here, but I chose Magus of the Candelabra to represent him because a wizard seems the perfect analog to a Mentat. Magus specifically enables and requires so much math through the use of his ability with other synergies in the deck that many people may require and actual computer/calculator to use him, or choose to forgo him altogether. 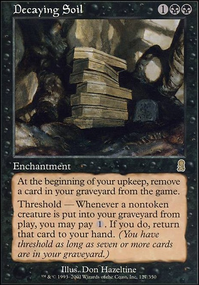 For example, with Rhythm of the Wild out to give your creatures haste and Cloudstone Curio you can play Magus, untap all of your lands with a powerful land like Cabal Coffers , Gaea's Cradle , or Nykthos, Shrine to Nyx , bounce another creature to you hand with the Curio, and then replay it to bounce Magus. This combo is convoluted, will net an arbitrarily large amount of mana, and will enable a winning turn. If Hazezon is the creature you bounce then you can set up infinite triggers with him to make infinite Sand Warriors on your next upkeep. Mina and Denn, Wildborn - Duncan Idaho and Gurney Halleck: Duncan Idaho was Swordmaster in the service of House Atreides, and one of Duke Leto's right-hand men, with Gurney Halleck, Warmaster for House Atreides during the reign of Leto Atreides I, and then his son Paul. Duncan came under the service of the Atreides after observing that they ruled in stark contrast to the Harkonnens. The Atreides appeared to garner fierce loyalty from those who served them, and Duncan was no different. However, as Atreides Swordmaster he maintained a hypervigilance against potential threats to the Atreides, even within their own ranks. Later, when the Atreides gained the Arrakis fief, under the order of the Emperor, Idaho became Duke Leto's ambassador to the Fremen, the people native to Dune that Leto hoped would ally with him in the feud against House Harkonnen. Idaho was so impressed with the Fremen, that he took dual allegiances, one to the Atreides, one to the Fremen. Gurney found service with House Atreides on Caladan during the rule of Leto I. He eventually became Warmaster and a loyal friend to Duke Leto Atreides and his concubine, the Lady Jessica. When Leto and Jessica had a son, Paul, Halleck later served as one of Paul's instructors in war and hand-to-hand combat. I realize that Mina and Denn are a female and male character respectively, but I hope you'll forgive me this gender-bend for the sake of their card being an opportune way to represent 2 critical characters for the story. Also, this card is a critical piece to enabling the secondary strategy of the deck, i.e. combat damage, to get through to players via the trample ability, especially when a bunch of Sand (Warriors) are attacking with a Shared Animosity out. Mina and Denn also let us get lands back to hand for Borborygmos to hurl at opponents and their creatures. Nissa, Vital Force - Alia Atreides: Alia Atreides, aka Saint Alia of the Knife (10191 AG - 10219 AG), born in planet Arrakis. Posthumous daughter of Duke Leto Atreides I and his Bene Gesserit concubine Lady Jessica, was the younger sister of Paul Atreides. Alia was still in the womb when Jessica took the Water of Life. Thus she was pre-born, and highly susceptible to Abomination from before birth. After living with the Fremen for several years, she was present in the palace on Arrakeen when her brother and his forces successfully conquered the combined forces of the Emperor's Sardaukar and House Harkonnen. Nissa is my analog for Alia, because like her brother Paul, who is also represented in this deck as a planeswalker ( Lord Windgrace ) in his awakened prescient state, Alia should be a planeswalker too. She is one of my favorite planeswalkers ever, especially because her ultimate can be done the turn after she comes out and is a strictly better Horn of Greed . Oblivion Sower - The Guild Navigator: A Guild Navigator was a senior rank of artificially super evolved humans within the Spacing Guild, and for many Guildsmen the pinnacle of their ambitions. Mutated through the consumption of and exposure to massive amounts of the spice Melange, Navigators are able to use a mentally conditioned and trained form of prescience to safely navigate interstellar and galactic space in long range starships called Heighliners. The Oblivion Sower is the perfect representative of the Navigator in this deck as it's triggered ability literally brings you new lands that you couldn't see before (from exile). 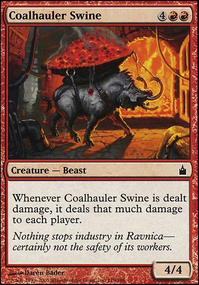 Incidentally, it is one of the key cards for the deck's main win condition, along with Realm Razer . This is described in more detail in the "He Who Can Destroy a Thing, Controls a Thing: The Main Game Plan" section below. Oracle of Mul Daya - The Missionaria Protectiva: The Missionaria Protectiva was the Bene Gesserit Sisterhood's "black arm of superstition", responsible for sowing the seeds of superstition in primitive cultures, so that the Sisterhood could take advantage of them when those seeds grew to full-fledged legends. They were responsible for spreading the Panoplia Propheticus (myths, prophecies, and superstitions). This "religious engineering" spread "infectious superstitions on primitive worlds, thus opening those regions to exploitation by the Bene Gesserit." Panoplia Prophetica provide the opportunity for a Bene Gesserit to later cast herself as a guide, protector, or some other figure in fulfillment of a prophecy in order to manipulate the religious subjects for protection or other purposes. These myths also exploit religion as a powerful force in human society; by controlling the particulars of religion, the Bene Gesserit have a manipulative lever on society in general. The Bene Gesserit also employ the Missionaria Protectiva to prepare the Empire for the arrival of the Kwisatz Haderach. The superstitions maintained by the Fremen of Arrakis detailed the coming of a prescient son of a Bene Gesserit who would lead them to freedom. This son is referred to as the Lisan al Gaib in Fremen myth. And it is this son that will become the Mahdi of the Fremen and lead them to freedom. Thus, when House Atreides arrived on Arrakis in 10191 AG, the Fremen believed that the prophecies handed down to them through the ages by the Missionaria Protectiva were being fulfilled. For obvious name reasons, Oracle of Mul Daya represents these "oracles" that sowed this prophecy among the Fremen. Sylvan Safekeeper - The Fedaykin: Fedaykin was originally a word used to describe the Fremen's guerrilla fighters, and was later used in reference to Muad'Dib's personal guard—his death commandos. Sylvan Safekeeper represents the Fedaykin because his role, like theirs, is to protect the more important game pieces on the battlefield. 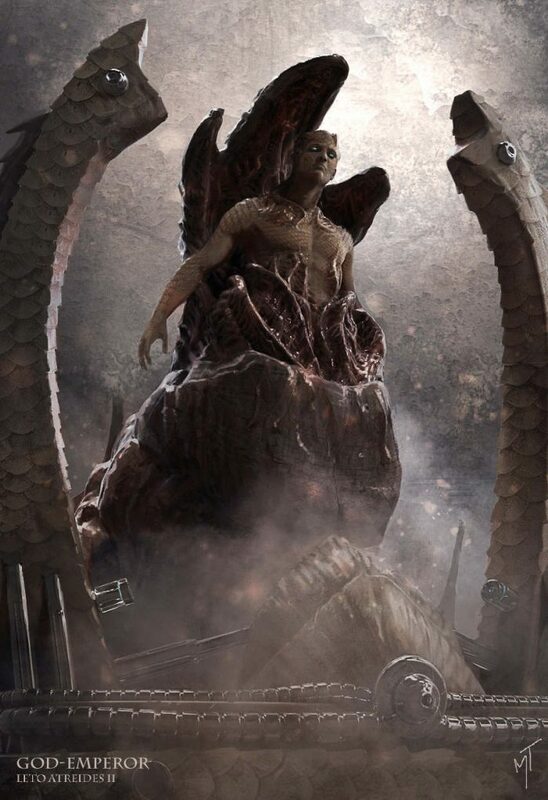 The Gitrog Monster - Leto Atreides II, God-Emperor: Leto Atreides II, (10205 AG - 13724 AG) also known as the God-Emperor, was the second son of Paul Atreides and his Fremen concubine Chani Kynes, daughter of Liet Kynes. He was born just after his twin sister Ghanima. After the death of his aunt, the regent Alia Atreides, Leto II proclaimed himself Emperor of the Atreides Empire, and ruled for approximately 3,500 standard years, guiding humankind with his iron fist towards survival. Through visions and intuition he discovered the Golden Path that his father had earlier uncovered and begun to follow. However, unlike Paul, Leto developed a greater understanding of the Golden Path's implications. He sensed not only its dangers but also the painful steps that had to be taken to avoid it unraveling, which would be to the peril of humankind. Thus, after spending time amongst a variety of fringe Fremen elements, including The Preacher, Leto accepted sand trout upon his body and began the conversion into a human-sandworm hybrid. This transformation (which, at the beginning, was essentially a form of exoskeleton), boosted Leto's strength, reflexes and speed immensely, and he was able to move across large distances on foot. The Gitrog Monster is the perfect card for Leto II: it is a monster that consumes people and became something more. It sacrifices the land for its own empowerment and is inherently destructive. This card will ultimately be altered to look like this artistic representation of Leto II. Storrev, Devkarin Lich - Sheeana Brugh: As soon as this card was spoiled I knew it had to be included in the deck. It's a decent reanimator/recursion card and more importantly, has a wurm on it that looks perfect for this deck's theme! Sheeana was a Fremen who lived approximately 1500 Standard Years after the death of Leto Atreides II, the God-Emperor. Sheeana was raised by her parents in a shanty town on the outskirts of Keen on Rakis. When she was eight years of age her town was destroyed by a worm. Sheeana watched from a distance as her parents and fellow villagers were killed. When Sheeana approached the worm that orphaned her, she was not killed by the creature. Instead, she discovered that the worm obeyed her. Shortly thereafter, Sheanna found herself at the city of Keen. She was led there by a worm after she climbed atop of it. Upon her arrival at Keen the Rakian Priesthood adopted the girl and obeyed her every whim. Bene Gesserit analysis of her DNA revealed that Sheeana was a descendant of Siona Atreides and Duncan Idaho. This, according to the Sisterhood's theories, was the reason why the worms obeyed her. Sheanna is one of the few characters not from the original Dune story that I have included because she's a really cool character and makes a huge flavor-win in my mind as this card. Titania, Protector of Argoth - The Lady Jessica: Lady Jessica of the Atreides (10154 AG-10256 AG) was the official concubine of Duke Leto Atreides I, and the mother of his son Emperor Paul Atreides. She was also a Reverend Mother of the Bene Gesserit Sisterhood. The Fremen of Arrakis were encouraged by Jessica's arrival, for two reasons. Firstly, their own Reverend Mother Ramallo was old and near death. With Ramallo's training Jessica was the perfect choice to replace her. Secondly, the coming of the Fremen messiah was foretold many eons prior (through Bene Gesserit mechanisms), and that he was to be born of a Bene Gesserit. Despite knowing the repercussions of becoming a full-fledged Reverend Mother, Jessica undertook the process of ingesting the toxic liquid of a young sandworm to produce the Water of Life. This act not only elevated her to Reverend Mother status but also fundamentally changed the fetus she was carrying, causing Abomination in her daughter Alia. Titania is a perfect analog for Jessica as she too is a mother who creates powerful offspring and has a critical relationship with the land. World Shaper - Duke Leto Atreides: Duke Leto was Paul's father and head of House Atreides at the beginning of the story of Dune. This card represents him well because with his death in the story, the universe is reshaped by the ascension of his descendants. The Golden Path: "Try looking into that place where you dare not look! You'll find me there, staring out at you!" The Golden Path ("Secher Nbiw" in the ancient Egyptian language) was an expansive prescient interpretation that was only visible to the Kwisatz Haderach. It foretold the fluid events of the future, both great and small. More profoundly, however, it revealed an optimum path through the countless threads of cause and effect that were encountered by the human race. In essence, the Golden Path entailed a restriction in spice production alongside spice stockpiling and the terraforming of Arrakis. The terraforming killed off all the worms, and the lack of spice restricted space travel. Eventually, after centuries of careful and deliberate oppression, Leto II was destined to die and release new sandtrout to begin a new worm-spice cycle. Subsequently, this caused the expansion of human domains far beyond the boundaries of the known universe, guaranteeing the preservation of humanity in the long term by inducing a massive expansion and diversification of human population, territory and culture. Through prescience, Paul Atreides and Leto II foresaw that humanity would end if it stagnated and remained confined within the known universe and rigid class structure of the Imperium. Though the Imperium's population was many trillions, Leto II's rule proved that humanity was still confined within a space that could be controlled by a single interest. Although rarely addressed directly, it was often suggested that this lack of exploration and growth left humanity vulnerable to being endangered by a single threat, which would lead to the eventual destruction of humanity. 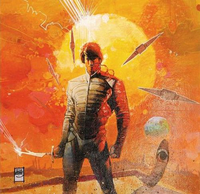 The conflict between humanity's stated desire for peace and their actual need for volatility was the strong central theme of the entire Dune series, explored in every book after the first. God Emperor Leto II's stated goal was to "teach humanity a lesson that they will remember in their bones": that sheltered safety was tantamount to utter death, however long it would be delayed. Story Elements: "The mystery of life isn't a problem to solve, but a reality to experience." The cards included in this section don't reference specific characters from the story of Dune but rather they reference specific places, events, plot-devices, or items critical to the story. Shield: The Effect allowed the creation of a shielding that repelled most methods of fast moving projectiles, but allowed slower moving objects, such as hand-held knives, to pass through. This changed the nature of warfare - conventional projectile weapons became all but mostly useless and laser weapons became incredibly dangerous, forcing humanity to return to the use of hand-weapons. Suspensors: The Effect's repellent effect allowed physical objects equipped with a Holtzman field generator to defy gravity. Glowglobe: Another practical use of the Holtzman Effect was the invention of the glowglobe, which produced light self-powered usually by organic batteries, and float allowed by a small Holtzman field suspensor generator. Space travel: Probably the most profound effect of the Holtzman Effect was its ability to fold space and time, and thus allow for instantaneous travel from one side of the universe to the other. This is the real Crucible of Worlds reference as even the art on Crucible is evocative of space travel. Duneblast - Coriolis Storm: A coriolis storm was any major sandstorm on Arrakis where the winds across the open deserts were amplified by the planet's own revolutionary motion. This caused them to reach speeds of up to 700 kilometers per hour. The storms represent one of the principle dangers to settlements on Arrakis. The Fremen guard against them by building sietches deep into the rock, Arakeen is protected by a natural formation of sheer rock called the Shield Wall. Earthcraft represents the Fremen dreams of terraforming Arrakis into a paradise planet. Endless Sands - Arrakis - Dune - Desert Planet: As soon as this card was printed I knew I had to include it in this deck and it really kicked off my imagination to start brewing it. One of my favorite applications of its ability is using it to exile Hazezon Tamar after his ability triggers so that he won't be on the battlefield when the delayed trigger happens and therefore can't exile all of the Sand Warriors. This is perfectly on-theme for the Dune story as well as it is representative of Paul's walk into the desert. After the birth of his children, Ghanima and Leto, Paul became convinced he had lost his prescient abilities; he did not foresee the birth of his daughter, only his son. Therefore, as no more than a blind Fremen, Paul disappeared into the desert, offering himself up to Shai-Hulud, as was the Fremen custom for the blind. This action made a powerful statement: it signified to the Fremen that Paul's interest was for the tribe, and that even he, Usul, Paul who was Muad'Dib, was not above Fremen law. Evolutionary Leap represents Paul ascending to the next level of human evolution as the Kwisatz Haderach. Gaea's Cradle represents the nourishment of the Sietch that allows for abundant life even in the depths of the desert. Grappling Hook - Maker Hooks: Maker hooks are Fremen tools used to ride the gigantic Sandworms across large distances in the desert. They are long, narrow shafts that can be used to open a scale on a Sandworm's armor and cause sand to spill into the soft innards, causing the worm to roll over, protecting the opened scale, thus allowing Fremen to mount and ride the Sandworm. Horn of Greed represents the greed of everyone in the story for more Spice and control over Arrakis. Aptly, the more lands you play with this card out, the more cards you draw, and it works for everyone. It requires effort to stay ahead of your opponents since they are also drawing cards off of it. Drawing cards is addicting as the Spice itself. Life from the Loam represents harvesting the Spice Melange in the deep desert. Need for Speed represents the literal need to move quickly through the open desert, especially when a storm or worm is nearby. Overgrown Estate represents the lushness of the Atreides' former home on Caladan and the future lushness of Arrakis after being terraformed. Reprocess represents harvesting the Spice Melange in the deep desert as well as the Fremen tradition of reclaiming water from the dead. On Arrakis, water was the most precious commodity. According to Fremen tradition, a man's water belonged to his tribe. As a result, the Fremen developed deathstills as a way of reclaiming the water of their dead, since it belonged to the tribe, and the dead had no further use of it. Rhythm of the Wild was a great add to this deck as it is directly evocative of a quote from the book, "Remember: Walk without rhythm and we won’t attract the worm." This refers to the sandworms' natural attraction to rhythmic vibrations on the desert surface. 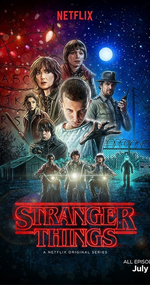 Strands of Night is representative of Paul's taking of the Water of Life, which killed every man who took it before him, and the subsequent awakening of his prescient powers. Tempt with Discovery refers to the Atreides inability to resist the temptation to accept the fief of Arrakis and leave their lush traditional home on Caladan, walking knowingly into the Harkonnen trap on Dune. Throne of the High City represents Paul's ascension to the Emperor's throne and the establishment of the Atreides empire. Wasteland is another great depiction of Arrakis' harsh environment. The name for this deck and this section uses one of my favorite Dune quotes to refer to the nature of this deck and how it has a fluid relationships with lands (the Spice): by exerting control over the Prime resource of the game (lands/mana), not through a brute-force approach like Armageddon , but through a more nuanced, thoughtful approach, we remain less predictable and ultimately, far more powerful. 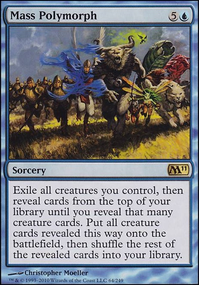 Through cards like Price of Glory , Squandered Resources , and Overgrown Estate we can move lands from play to the graveyard at will (and back to the battlefield via Splendid Reclamation , Second Sunrise , and World Shaper ) and force our opponents into a Catch 22, specifically using Price of Glory and the combo below. They can respond and lose all of their lands, or allow it to happen and lose all of their lands. This is not meant to be mean, quite the opposite: it establishes a clearly game-winning board state. Realm Razer + Oblivion Sower : These two cards exile all of the lands on the battlefield, including ours, and then Oblivion Sower targets a player (on cast) to essentially fold space and return the world of our choosing to the battlefield. This is figuratively how the Guild Navigators are able to guide space travel using the Holtzman engine, so the flavor is rich here. This effect is doubly powerful with the inclusion of Strionic Resonator , which lets the player target two opponents to steal all of their lands. Subsequently, you can bounce Realm Razer and/or Oblivion Sower to your hand with Cloudstone Curio or sac Realm Razer to a sac outlet to return your own lands to the battlefield and possibly reiterate the combo to steal all the lands of any remaining opponents, thereby leaving them trapped in the Diaspora (more Dune flavor). Sandwurm Convergence is almost literally a recreation of a scene from the book and movies. Charnelhoard Wurm is a great wurm that just recurs something for my every turn, albeit at a steep cost, but if you can't play cards like this in a dedicated-Vorthos deck, where can you? Worm Harvest fits perfectly into both the Dune sandworm theme and the practical lands (ecology) theme of the deck between its Retrace ability and lands-in-the-graveyard effect. This section is included as a gallery of cards that feel very flavorful for a Dune deck and I would include in a 200 card version. I feel like including them here enhances this page's goal of achieving maximal Dune mood. Also, some of them are my most-desired possible includes or swaps for other flavor gems, but they just haven't quite made it into the deck yet. Gruesome Slaughter of the Harkonnen on Arrakis. Dune-Brood’s tokens are colorless and could be huge with Shared Animosity but this is too niche. Lovisa Coldeyes another option for Chani. Novablast Wurm a worm I really want to play but can’t think of a flavorful way to include and not blow myself out. He is called Paul, Usul, Muad'Dib, Mahdi, Kwisatz Haderach, the one who can be many places at once. "Without change something sleeps inside us, and seldom awakens. The sleeper must awaken." This quote expresses a core philosophy I hold to be true regarding EDH deckbuilding: a brewer/player needs to keep stretching and challenging themselves with different archetypes, colors, color combinations, and themes to achieve their potential in both respects as a player and a deck designer. This deck is my 32nd completed deck and my first 4-color deck. I had always planned to aim for 42 lands in this deck and the 2 Discount Double-Check lands from BFZ were always just sort of maybes. I'd like to play them but I don't find that I need them. The deck description will be updated with the story elements each of these cards refers to. Found that if I didn't draw one of my draw engines then I was ending up in inevitable board stalls, even though I won one game with Worm Harvest retraced 4 or 5 times. Added 2 cards in to help smooth out the plan; unfortunately that meant cutting more cards. Still need to update description with story tie-ins for all new stuff. Path of Discovery which is just great for digging for whatever I need off a big Worm Harvest, Hazezon, of Dune-Brood.